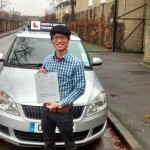 To take lessons, you will need to be over 17 and have a valid Provisional License. You can apply for this on line when you are 15 years and 9 months old. Once you have received your license, contact me and we can book your first lesson. I will meet you at your home, place of work, school, college etc. You will need to bring your Valid Provisional License, for me to check. I will also ask you to read a new style number plate, from 20 meters away (if you normally wear glasses or contact lenses, remember to bring them!) If you can’t do this, your lesson will be cancelled and my fee will be payable. Please wear shoes with a thin sole, as this will really help when you first start driving. I will then drive you to a safe, quiet area nearby, encouraging you to be aware of the potential hazards we encounter and the way I use the controls of the car. This will help you think like a driver! When we arrive at the safe area, I will park the car and we will swap seats. During the next 20 – 30 minutes, I will teach you how to prepare the car for yourself (you will need to do this every time you sit in the drivers seat from now on!) and explain in a very straight forward way, how the main controls work and should be used. The next step is moving off and stopping, safely and under control, (amazingly, lots of people fail their tests for not doing this safely, so it’s important to cover it early on). We will then move on to turning and emerging left and right. By the end of your first lesson, you will have practiced all these essential skills! 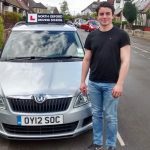 All my lessons last two hours, which means you will have time to overcome any nerves and make a good leap forward with your driving. At the end of the lesson, I will recap what you have learn t to check your understanding, fill in your ‘driver record’, which shows you your progress as your lessons continue, explain what we will be covering in your next lesson and drive you to a prearranged drop of point. 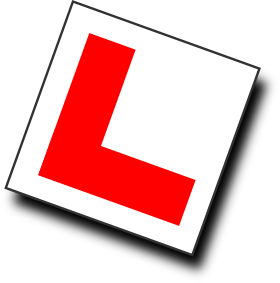 Before you can book your Practical Driving Test, you will need to have passed the Theory Test, which can be booked on line. 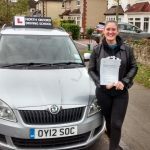 It is not necessary to take the test before you start your lessons, in fact, you will find it much easier once you have had some driving experience. The test is in two parts, 50 multiple choice questions and a Hazard Awareness section, where you are required to spot developing hazards on a film clip. I will help you prepare for both parts during your driving lessons. You will need to get a copy of The Highway Code and I would recommend The Official DVSA Guide to Driving and The Essential Skills, both of which can be brought in a good bookshop or on line, there are also lots of great apps available. There are a number of on line theory tests to practice on, but I would save them until just before you are ready to take the test, to really check your knowledge.